I’m usually not much for biographies or memoirs. Normally with non-fiction I tend to read business books, or books for helping me learn a skill. But I love everything Felicia Day creates so I needed to read this one. More accurately, I needed to read this one after Amber finished it. While I wanted to read the book someday, my 2015 reading list was so cram packed I wasn’t sure I’d get to it anytime soon. But Amber wanted to read it right away, so we requested it from the library when it was still in preorder. Once the book was released, she was one of the first to get it. I decided to fit in the read before the book had to be returned for the next library patron who requested it. It’s a super fast read in a good way. Her stories are entertaining and engaging, so 20 pages a night is nothing when you could read 50 and giggle 2.5 times as much! And giggle all the way through is what I did. 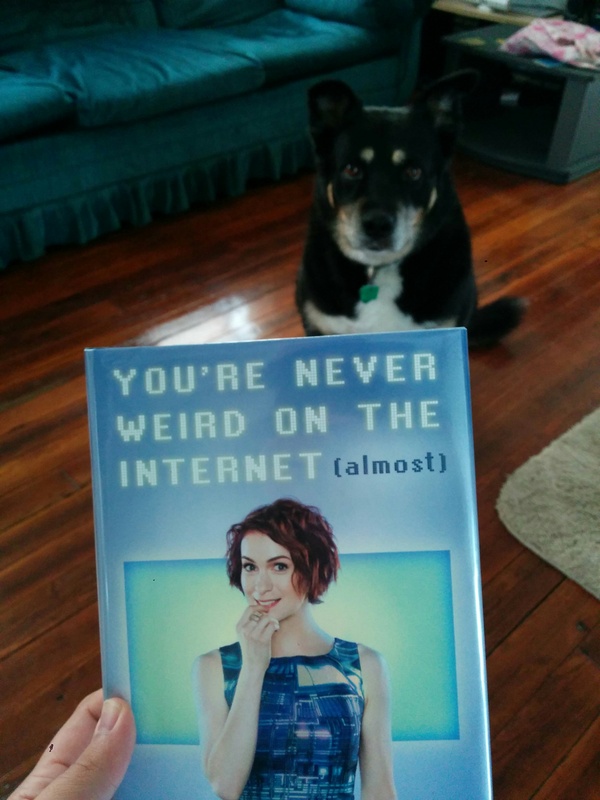 This book is best read by someone who already knows and loves who Felicia Day is, she says so herself. Haven’t watched (or at least heard of) The Guild? Ehhh, maybe you won’t giggle as much. But the memoir is smart as much as it is funny. I respect her even more having heard her story and the struggles of her creative life. Really glad to be in her audience, and really thankful to hear more about the person behind the online avatar.